Here’s your chance to meet Tucker and watch great racing! Thursday night, Tucker will be at ERX Motor Park in Elk River, Minn. for a meet and greet autograph session during the Grassroots Snocross event. Drag out that 1994 Puma, dust it off and sign up for the Vintage class! Don’t feel like racing? Load up your kids, buddies and whoever else you can find and drive to ERX for a night full of two-stroke entertainment for only $10 (kids 12 and under are free)! Next Wednesday, Tucker will be a guest speaker at BAY (Brainerd Area Youth) Ministries North Rally in Pequot Lakes, Minn. The theme for this year’s rally is FAME – Somebody’s Always Watching. It’s an event exploring how you react to life around you. If you’re in the area, mark your calendar and join Tucker for a night full of praise and inspiration! When: Wednesday, February 24 – 7 p.m.
Where: Trailside Center (Connected to Pequot Baptist Church) 30028 County Road 112 – Pequot Lakes, Minn.
Who: You! That’s right, you’re invited. The event is FREE and open to the public! 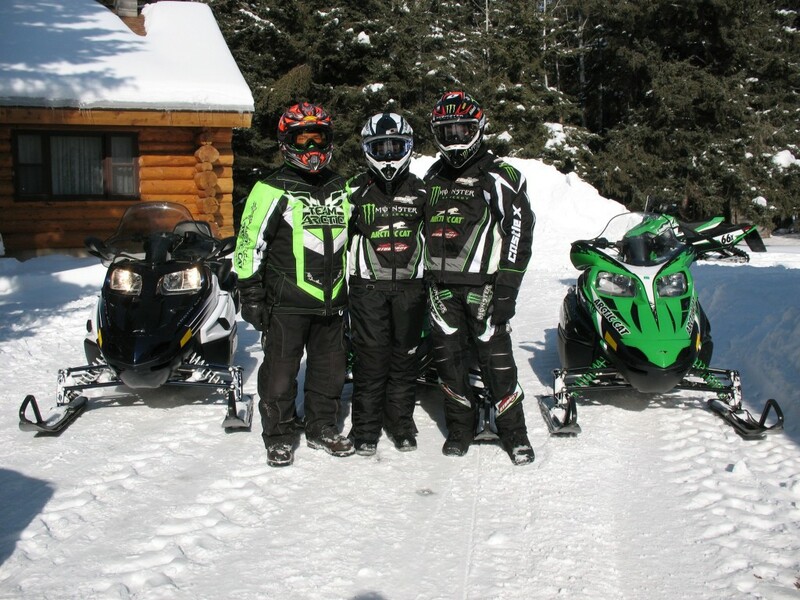 Mandi and I spent our Valentine’s Day snowmobiling with my hero, Roger Skime. We rode around Skime Ranch and through the Beltrami Island State Forest. Who knew that Northern Minnesota was so cool? It was the first time Mandi and I snowmobiled together and we had a great time. I spent most of the day on a F8 . Mandi rode a Z1 LXR and Roger rode his SnoPro 500 that he raced in the I-500 last month. Unfortunately with racing, I don’t get a chance to recreation ride very often. Last year, I was able to sneak in a week of mountain riding in Colorado after the X Games with a group of guys from FCA. This winter, Mandi and I joined Minnesota United Snowmobiliers Association and our local snowmobile club – Lake Runners Trail Association. If you’re not a member of your local club or MnUSA, click HERE to join. It’s a great way to support the sport we love!